Diabetics suffering from foot ulcers are in a greater risk of having to go under lower limb amputation. MoveSole Smart Insoles help healthcare professionals by measuring the effectiveness of offloading at the clinics and outside with everyday usage. For a long time now, Healthcare professionals have been looking for a reliable method to measure and analyse gait while people walk in their natural environment vs. clinical settings. And this is precisely why MoveSole Ltd was established. 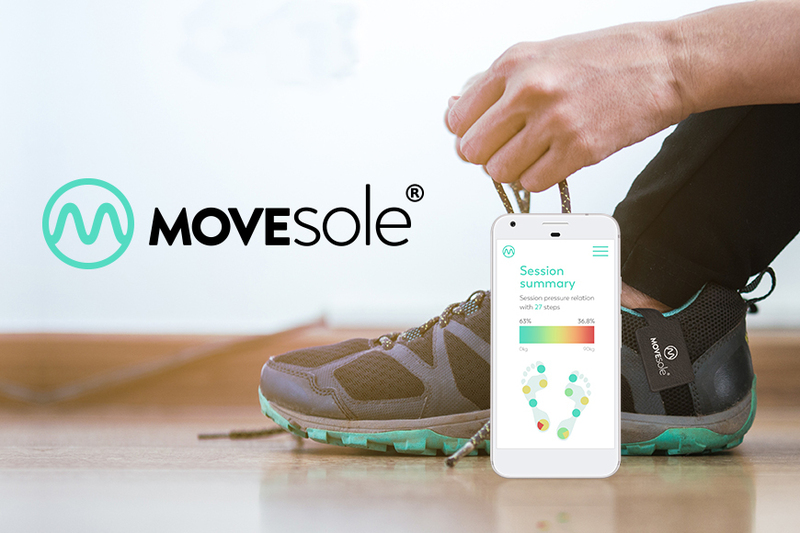 Now after three years of collaboration with healthcare professionals on development and piloting, the MoveSole Smart Insole is being finalized to get the medical device approval and is ready for sales. Because of this development work, we now have an excellent tool for the healthcare professionals to treat foot ulcers and lower limb injuries both in the clinics and outside. Since the beginning of MoveSole Smart Insole development all selected technologies have been harnessed to deliver a solution for precise and easy gait measurement. It has been estimated that there will be over 640 million diabetics in 2040 globally (source). 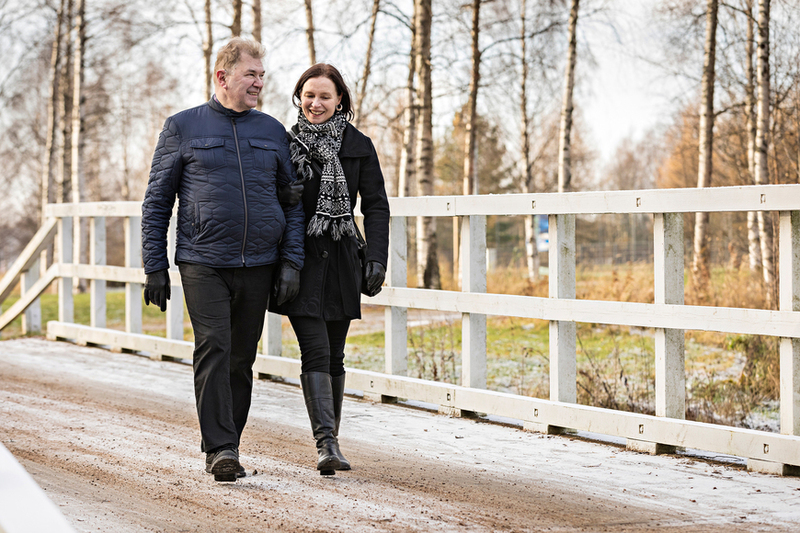 In Finland, about 10% of the population is diabetic (source in Finnish). Foot ulcers caused by diabetes result in more clinical visits than any other diabetes related health issue. While suffering from diabetes, the risk of getting ulcers grows hand in hand with the diabetes induced neuropathy, which in turn results in loss of sensation and nervous system complications. One of the key methods of foot ulcer treatment is to offload weight from the ulcer infected area. This is usually done with special offloading shoes and/or insoles. The offloading treatment aims to stop the ulcer from growing bigger, which in the worst case could lead to a lower limb amputation. Until now the healthcare professionals have been lacking a method or a device to measure the offloading insole’s effectiveness. So far the patients have received offloading aids that have been built on rough visual estimations, while requiring plenty of patient generated feedback, which might be problematic due to the diabetic neuropathy and impaired sensation. With the MoveSole Smart Insoles it is now possible to reliably analyse how the tailored offloading is working and whether the weight has been directed away from the right spot. At a clinic, the foot therapist places the MoveSole Smart Insole under the offloading insole, which has been designed for each diabetic patient separately. Then the therapist can detect how well the offloading works as the MoveSole Smart Insole sends gait and weight distribution data to a mobile application while person wearing it is walking. The professionals who treat foot ulcers have been lacking monitoring tools for both at the clinics and outside of them. There’s a big difference on how people walk in a natural setting by themselves versus a carefully monitored short walking session by a therapist. The biggest issue has been to verify that the ulcer area is truly exposed to less pressure with the offloading insoles people are given. The diabetics themselves cannot verify this due to the lost nervous system capacity and loss of sensation caused by diabetic neuropathy. Commonly, the neuropathic loss of sensation starts from the feet and this in turn increases the risk of getting ulcers noticeably. Therefore, IWGDF (The International Working Group on the Diabetic Foot) as an important independent organisation, recommends careful monitoring of treatment related offloading. Thanks to the MoveSole Smart Insole health professional can assess already at the clinic whether the pressure has been offloaded from a targeted spot. As a part of ulcer treatment, a diabetic should wear the personally tailored offloading insole for the whole period of care, which might take more than three months. Currently, the effectiveness of care is being evaluated in every two weeks at a visit to the clinic. The MoveSole Smart Insole can also be used outside the clinics under the supervision of foot therapy professionals: this will generate data regarding offloading effectiveness also in between the clinic sessions. This in turn provides a much greater amount of gait data and ensures the reliability of monitoring. The data collected by the MoveSole Smart Insole gives direct evidence to the care professional on how the patient has been walking and whether the offloading has been correctly positioned. Since the MoveSole Smart Insole is light and durable, it can be easily used under the supervision also in the home environment. With MoveSole Smart Insole, ease of use has been the key design principle since the beginning of the product development. Healthcare professionals need tools that are easy and fast to use. So far foot care professionals have been given tools that require up to 10-15 minutes setup time, which consumes a notable part of the actual appointment. Whereas MoveSole Smart Insole can be taken into use in less than one minute. All the MoveSole Smart Insole collected data is visualised in the mobile application, which has been designed solely for this purpose and has a very visual user interface to support care. This application collects all walking related data and creates reports to support care effectiveness monitoring. These reports can be used at any given time, which helps long term monitoring. The data analysis is easy regardless if one is interested in a specific gait detail or on the overall picture. Drastic measures such as foot amputations, can be minimised with efficient foot ulcer prevention and care. Diabetics are in a 15 times bigger risk to undergo a foot amputation when compared to other population (source in Finnish). Moreover, 50% of the foot ulcers renew (source). Annually, in Europe the total number of foot ulcer related amputations is close to 500,000 (source). Current medicine should not just rely on a visual evaluation of the professional when monitoring and evaluating foot ulcer care and the effectiveness of offloading. By harnessing technology to the care process, we can continuously monitor the patients’ advancement instead of seldom control points at the clinics. Based on the timely information collected with the MoveSole Smart Insole, the healthcare professionals are better equipped to treat foot ulcers. Preventive care will become more important in the future and the MoveSole Smart Insoles can also be used to monitor the pressure around already a healed ulcer, just to make sure that the condition will not return. In addition to diabetic foot ulcer offloading treatment, the MoveSole Smart Insole can be used in various other ways in healthcare, e.g. it can be used with leg injury patients to analyse the pressure caused by walking and to teach correct way of setting pressure to the injured limb plus monitoring and teaching the symmetry of walking for those who are recovering from leg injuries. Besides fractured bones such injuries can be ligament injuries. At the moment, the MoveSole target audience consist of diabetics with foot ulcers and patient recovering from lover leg injuries, though naturally this product can be applied to various other forms of physical rehabilitation. MoveSole Ltd has the ownership to all the relevant product rights. The Finnish Patent and Registration Office – PRH have approved the patent protection application to be registered and this gives protection to the technology used by MoveSole to measure the weight and pressure under a foot. The company has also applied for a wider international patent protection. The MoveSole Smart Insole combines unique sensor technology with printed intelligence production methods that enable cost efficient and durable production. The mechanical and physical endurance of the product as well as the usability aspects have been on a central focus during the design phase. When in use, the insole is exposed to a massive amount of mechanical stress by the person who’s walking. Moreover, the insole must be able to sustain physical strains such as moisture buildup and sweating. Also, the disinfectants that are being used for cleaning add to the demands of the insole durability. All these factors have been considered when designing the MoveSole Smart Insole and thus the product can be given a one year with 250,000 steps warranty, which notably exceeds the warranties of the laboratory based solutions on the market. The MoveSole Smart Insole is especially designed to be used also outside clinics, so the healthcare professionals can extend the usage of MoveSole StepLab solution from their daily use at work also to patient’s home use when supervised. 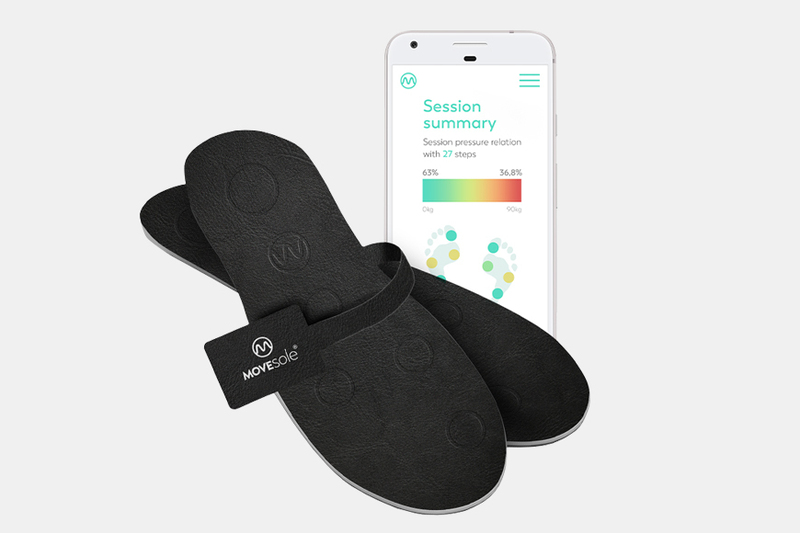 MoveSole Smart Insole has been designed, from the beginning of the development work, for healthcare professionals as a measurement device: MoveSole Smart Insole gathers information about pressure distribution while walking. It also counts steps and step cadence. Therefore product development has been done as required by medical devices class 1m. MoveSole has especially followed requirements of the ISO standard 13485 for medical device quality management system. This quality management system describes how the product development should be done in MoveSole. 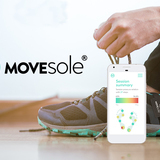 As necessitated by the requirements of a medical device, MoveSole will be the manufacturer of its smart insole product. The company uses selected subcontractors on certain elements for the product. The final assembly is done by MoveSole at this stage, yet once mass productions starts the overall assembly will be subcontracted. The development of new medical devices is challenging, though after the market entry the product positioning is usually sustainable. A typical hindrance for the sales is the set of official approvals by medical authorities. MoveSole has been developing this solution for over three years and it complies with the European standards for design and manufacturing. The company has set an outline for a six-month project in which the European sales license related tests and audits are completed and manufacturing starts. The company is confident that the required clinical evidence for the sales licenses is largely set. In Europe alone, there are close to 8 million diabetics with the risk of getting diabetes induced foot ulcer (source). Once considering all the other geographical areas and product’s other use cases, the overall market for the MoveSole Smart Insole is enormous. Even though there are laboratory built walking measurement systems, there is a solid need for a product like the MoveSole Smart Insole, which is easy to use, cost efficient and, very importantly, can be used outside the clinical settings. The MoveSole StepLab solution, with the smart insoles and the accompanying mobile application, has been welcomed with very positive feedback when it has been presented to the healthcare professionals in all occasions. There’s already great interest to acquire the product even though it requires some fine-tuning before the actual sales begin. MoveSole has letters of intent to purchase the product immediately once the medical device approval is finalized. For instance, during the annual Diabetes Symposium in October 2017 a notable presentation of several ulcer treatment clinics from Finland expressed their immediate interest to purchase the MoveSole StepLab once on the markets. MoveSole will start the sales by selling the MoveSole StepLab solutions to healthcare professionals for their clinical work. At the beginning, the sales will be targeted to hospitals, health clinics, private hospitals as well as to the clinics of physicians, physio therapists and foot therapists. Later especially the healthcare professionals operating in private clinics will have an opportunity to provide their patients with MoveSole Smart Insoles. The next phase for MoveSole is to develop its distribution network. Traditionally, in Finland and Europe, the healthcare related aids have been sold by specialized distributors, who all have their specific niche. This became very evident when MoveSole conducted an extensive distributor screening, which indicated that each customer segment will need a specialized distributor channel. 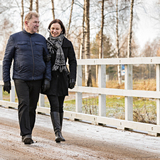 For instance, in Finland care devices for foot ulcers are distributed by different companies than those who specialize on orthopedic and physio therapy rehabilitation instruments and devices. MoveSole has already signed the first distribution agreements in Finland. The MoveSole Smart Insole was showcased for the first time by a distributor at the Tampere Assistive Technology fair in November 2017. Currently the solutions that compete with the MoveSole StepLab are solely meant for hospital environments. 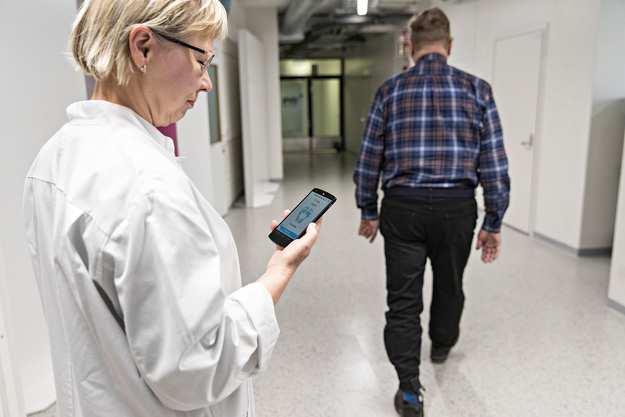 From few of the University Hospitals in Finland one can find some very costly insole solutions for the diabetes patients to walk on, yet these are designed for sample steps on a hallway. Public health clinics and central hospitals do not have any insole related solutions. Hence, according to the discussions with healthcare professionals, there’s an imminent need for a MoveSole Smart Insole type of easy to use and cost efficient solution. Some hospitals might have a built-in walking laboratory. There the patient who is being treated can have his gait analysed with the help of a built-in setting that might have running mats or pressurised matts attached to the floor. These kind of walking labs are very costly and only enable few meters of on the spot walking/running to be analysed. 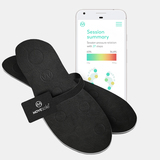 Whereas the MoveSole Smart Insole enables laboratory level measurement at a patients regular living environment, thus ensuring the measured data closely reflects the genuine behavior of the patient. There are several new companies working on developing MoveSole Smart Insole type of mobile walking analysis solution. And they are roughly in the same phase as MoveSole, where none of them has gained any notable market share. For the fitness market there are several insole solutions measuring various types of activities. Yet they do not meet the requirements set for medical devices due to different design and manufacturing processes as well as the measurement precision itself. Thus, they do not compete with MoveSole at the healthcare market. MoveSole has decided to concentrate at first to the healthcare markets. The company has plenty of growth potential both on the health sector and other health & wellbeing related fields. Geogrpahical sales regions. The first geographical market area is Finland. The sales are planned to start Q2/18. The sales will expand to other Nordic countries and the Baltics also in 2018. After these regions, MoveSole will commence sales in the German speaking areas in Central Europe (Germany, Austria, Switzerland) at the latest in early 2019. New use cases for the product in healthcare. Besides supporting the actual care treatment MoveSole Smart Insoles are also most suitable for preventive care. In the future, preventive healthcare and personal self-care will constitute a notable part of MoveSole’s target markets. For instance, MoveSole Smart Insole can be used to measure the activity level of elderly people and assess rehabilitation effectiveness. MoveSole has already been asked to participate in numerous university research programs studying these use scenarios. Moreover, also the risk of diabetic foot ulcer renewal could be minimized by monitoring and avoiding the excess pressure on the already healed ulcer area. Preliminary studies indicate that preventive pressure monitoring does minimize the risk of foot ulcer renewal. Use cases in sports. MoveSole Smart Insoles and the technologies developed by the company can also be utilized in professional sports and fitness. Competitive sports (such as ball games, running, jumping, skiing) could greatly benefit from monitoring the athletes’ strength and power generation under their feet. Also, the athletes and coaches in specific skill related sports are interested to learn in more detail how the athlete’s balance functions and how he/she generates power during the performance. As the MoveSole Smart Insole’s sales volumes grow, this should help to lower the production costs, which means a more affordable fitness version of the product. The MoveSole team is a great combination of seasoned experience with young energy. The team has wide experience from technology and health, sales and marketing as well as business development and financing. The team of advisors in turn bring their know-how and experiences to support the MoveSole product and business development. They’re professionals from the fields of financing, product development and marketing. Eero has an extensive entrepreneurship experience for over 25 years. His entrepreneurial career started as the founder and managing director of Hantro Products Ltd, while being responsible the company’s strategic leadership for 16 years. During his leadership, the company grew from a 2 person micro company into 80 people and 10 MEUR revenue generating technology product company. He was able to raise 20 MEUR funding for the company. Eero was also in charge of the 60 MUSD exit to a US listed company called On2 Technologies. After this, Eero moved to US and took charge of company and product strategy as well as marketing at the On2 US headquarters. Once returning to Finland he ran the Oulu Accelerator in 2012-2014 and successfully coached 19 startup companies with a six-month program. 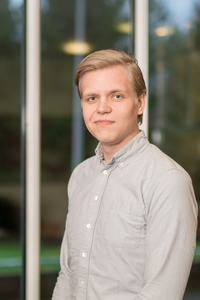 Since 2014 Eero has been in MoveSole team and in charge of company strategy, business development and funding. 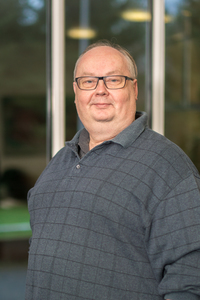 Vesa is one of the seasoned experts in our team. He has worked throughout his whole career as an expert within the measurement technologies. 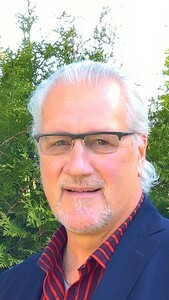 He has 30 years of expertise on digital and analog signal analysis. 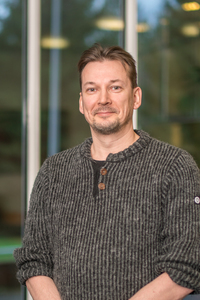 Vesa started as a sensor technology developer 20 years ago as a researcher at the University of Kuopio. After a couple of years at the university he continued technological development at the Nokia corporation. His great interest towards sensor technology got him to study human gait from the measurement point of view. His current work in the MoveSole team is still tightly connected to this, while he is charge of the development of embedded electronics, sensor technology and manufacturing processes. Vesa has been awarded six patents, which are mainly about sensor technology. Miro has overseen project management in various fields. Even if his degree in engineering is somewhat recent, he’s exceptionally skilled as a mobile application UI designer. During his studies, his enthusiasm towards technology became quite evident as he graduated with very good grades a year faster than his classmates. He had the chance to thoroughly familiarize himself with the MoveSole Smart Insole functionalities and technologies, while doing his engineering thesis. 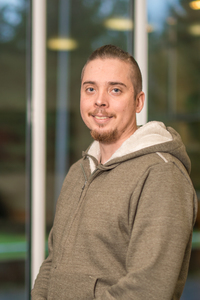 Working in the MoveSole team has taught him product design both from the embedded electronics and software side. He’s the MoveSole project manager for product development projects. Markus got his Master of Science degree at the University of Oulu. 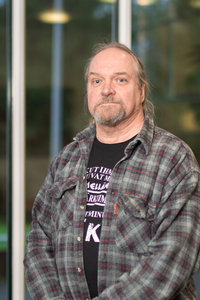 His professional career started in 1995 at the University of Oulu’s Mathematics department. In 1999 he started working for Hantro Products Ltd and due to company acquisitions he also worked for the On2 Technologies company and consequently for Google after that. Working at these various positions have built him over 15 years of solid experience on programming and algorithm development. Over his career he has been granted numerous algorithm patents for his inventions at the international technology companies such as Google. In the MoveSole team Markus oversees the measurement algorithms in the company products. 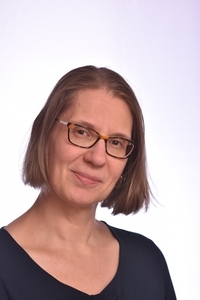 Jaana has a Master of Science in process technology. She has been working with quality and electronics related assignments for the past 20 years, while overseeing quality assurance and quality management tasks on various levels. For instance, she created and deployed a documentation and mode of operation processes in accordance to the ISO 13485 standard for medical device quality control. This helped a collaboration partner of MoveSole to be granted with the quality control certificate in 10/2017. Jaana has had the overall responsibility for ensuring product quality and reliability both in the product development projects as well as with subcontracting and customer related quality issues. 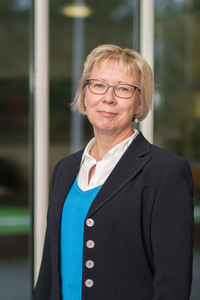 Jaana has been the chief auditor and a member of the review board with supplier audits and with company’s internal audits both in Finland and abroad. Jaana continues to oversee quality management and assurance in the MoveSole team as the quality manager. Ville’s career with us is about to start once his engineering thesis work on product testing for MoveSole is finalized. As a member of the MoveSole team, Ville will be doing product testing for the MoveSole Smart Insole. In addition to this, he will also work on developing and executing the embedded systems. Minna’s entire career has been in healthcare in various roles. In the past 20 years, she has worked as a dentist, a software developer and a marketer for healthcare professional. Recently Minna has been doing consultancy for social and healthcare companies to get their mode of operation into the digital era. In the MoveSole team, she’s in charge of operations and marketing. 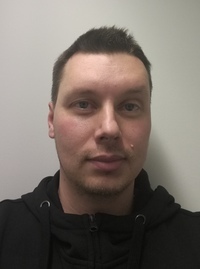 Mika has over 25 years of experience in the field of specialized rehabilitation both on the public sector for the City of Helsinki and private sector working for Orton Ltd. Mika is a published author in the field of rehabilitation in journals and he’s been co-author in professional volumes. He also lectures on common themes around rehabilitation in healthcare events. Mika’s solid know-how in rehabilitation was a crucial when defining the MoveSole Smart Insole’s current version. 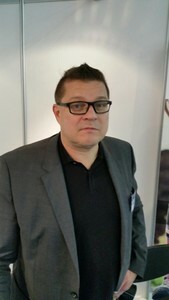 Currently Mika is the COO of Össur Finland Ltd.
For the past 15 years Sami has been a developer and leader of numerous mobile technology related product development projects for business and consumer markets. Prior to joining an automotive technology provider as a project manager, he was leading the MoveSole product development of a medical device for two years. Seppo has 30 years of experience from funding, being advisor and board member in various companies and organisations (e.g. Sitra/Investment director, BioFund/Founder Managing Partner, Merieux Developpement/Regional Partner and nowadays Pathena/Partner). 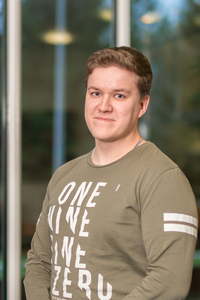 Seppo has work experience both on product development and sales. Seppo has listed eight companies in stock exchange. During his career he has been in the boards of 40 companies and in 20 company mergers. He has raised 300 MEUR to different funds and companies.